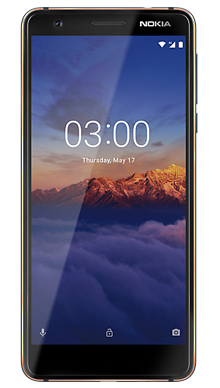 The Nokia 3.1 has been designed to be an upgrade over its predecessor and does a lot of what the Nokia 3.0 did, however, it also does most of it better. 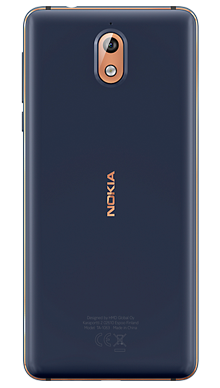 Select your desired options to find the best Nokia 3.1 2018 deals for you. 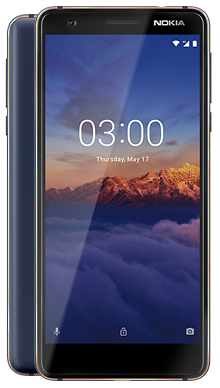 The Nokia 3.1 has been designed to be an upgrade over its predecessor and does a lot of what the Nokia 3.0 did, however, it also does most of it better. This new model is considered to be an improvement on the original and has a reasonably broad appeal despite only being on the shelves for a few months. This isn’t going to redefine the mobile phone industry by any means. However, this remains a highly intelligent and capable device which has been designed to cater to people who want a smartphone but doesn’t want to commit to spending thousands. This is a smartphone, so you do get a considerable wealth of resources to play around with. While it probably won’t hold up to the top of the range models which seem to dominate the market, you will discover that this does offer a lot to people who dislike the notion of trying to buy a flagship device. Some people want a smartphone, but don’t want to pay all that money. For them, this is the best possible option. You’d be correct to say that this isn’t necessarily a top of the range smartphone. However, you could also say that it’s a pretty good phone for people who want to be able to enjoy a smartphone, but not have to pay often ridiculous amounts as is the custom of Apple or Samsung. Straight away, we’ve got something that looks like it’s been designed to be ergonomic and practical. The sleek design is curved slightly to make sure that it fits into the palm of the hand. For a phone of this particular price, it’s got some subtle details, like the way that the front glass curves and bends into the sides of the phone. The constant from Nokia is the strength of their design, and this is no exception. This is very clearly designed to be as tough as possible, and it shows when you look at the construction and the end quality of the materials. It feels sturdy in the hand like a Nokia often does, and you get this sense of stability and strength from start to finish. Screen size is a pretty perfect 5.2 inches, coupled with a surprisingly good display. 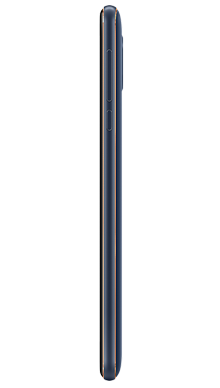 Considering the current trend of massive displays, this more realistic size was very welcome. Regarding size, you’ve actually got a phone which isn’t massively too big or too small. This is quite a feat when you consider that many phones are either too small to use properly or too big to carry around conveniently. The audio quality isn’t going to stack up well against the likes of Apple and Samsung. However, you have to consider that this wasn’t actually the point. On its own, the audio is pretty good for a smartphone which is in the lower budget area. It isn’t massively loud without the aid of a speaker or a headphone jack, but it performs well, and the actual quality is relatively sharp and consistent. With this particular phone, you’re going to get a fairly average camera. This does work quite well when you consider that it is, in fact, a fairly average phone. There’s a good level of detail, and the image quality is relatively consistent. It isn’t anything to rave about by any means, but concerning phones that are within this price range, it’s one of the better ones. The performance of this phone is pretty consistent for a model of this price range. In terms of what it can do and is capable of, some might go so far as to call it an entry-level phone. We wouldn’t. The performance of this phone is tied to it’s Android One processing power. There are all kinds of different apps, with provision for social media, emails, games, and the standard apps that we find on our phones. You do have a wealth of different multimedia applications to use, although they’re all the default options for Google. Speaking of, the entire phone is set up to work with Google in the most advantageous way possible. That isn’t to say that you can’t use other email platforms, but Google is the recommended choice for connectivity among its many different features. The processor will get the job done, although it is, unfortunately, very entry level. A lot of the other features are high level for the budget you’re going to have for this phone, so it’s pretty good in that regard. Although it is worth noting that not everything performs at an exceptional level, most things perform at a good one. This is a reasonably good phone for the price you’re going to pay. While it isn’t in the same tier as Apple or Samsung latest models, this isn’t necessarily an issue. What you have here is a phone which has been designed to slot into the middle tiers and performs fairly well in all conditions. While it might lack sophistication in some instances, for the most part, everything is polished and runs well. It’s an upgrade from the Nokia 3.0, so people who used to that will find that this is a very similar beast with a few modifications. It’s a pretty good choice for someone who’s trying to find a phone on a budget. Our constant endeavour as a mobile phone provider is to make sure that there are multiple options for you to choose from, so you have a rich and varied choice with your contract. For this reason, Fonehouse has chosen to pair exclusively with Vodafone and EE, in order to make sure that we can consistently provide good coverage and network service. All of our different deals come with a whole selection of extra features. Whether you’re looking for Spotify, courtesy of Vodafone, or BT Sport and Apple Music, EE can help to make sure you get what you’re looking for. 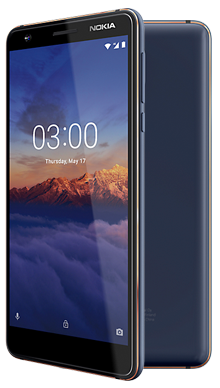 If you think that the Nokia 3.1 2018 is the phone for you, and want to get more information about it or seek clarification on any of our deals, then why not contact a member of our excellent customer service team on 0333 900 1133.